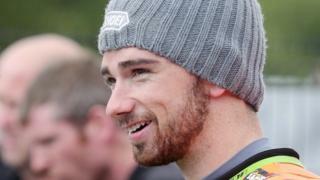 Glenn Irwin is relishing the opportunity to ride for one of the leading teams in next year's British Superbike Championship. The Carrickfergus rider will compete for the Paul Bird Motorsport-run Be Wiser Ducati outfit, with Shane Byrne as his team-mate. The 25-year-old is currently third in the British Supersport series, racing for the Gearlink Kawasaki team.